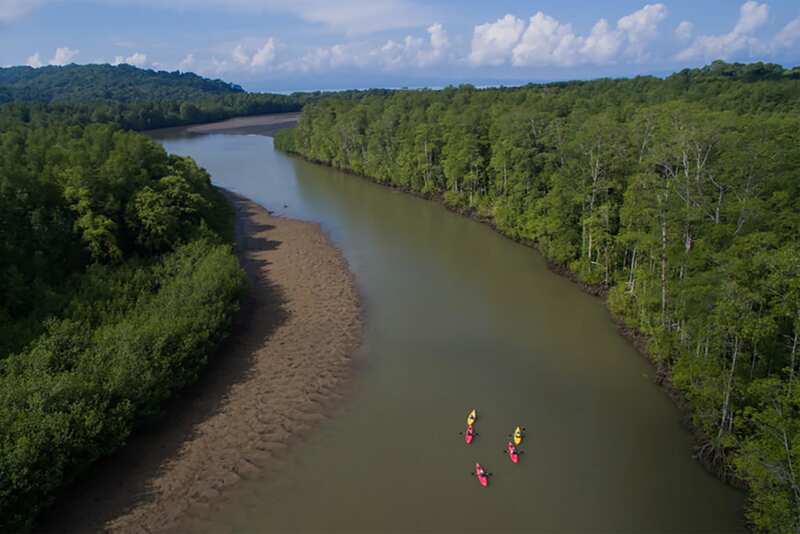 Pristine rainforests, rugged beauty and extreme biodiversity defines the Osa Peninsula an off the beaten track location ripe for adventure. 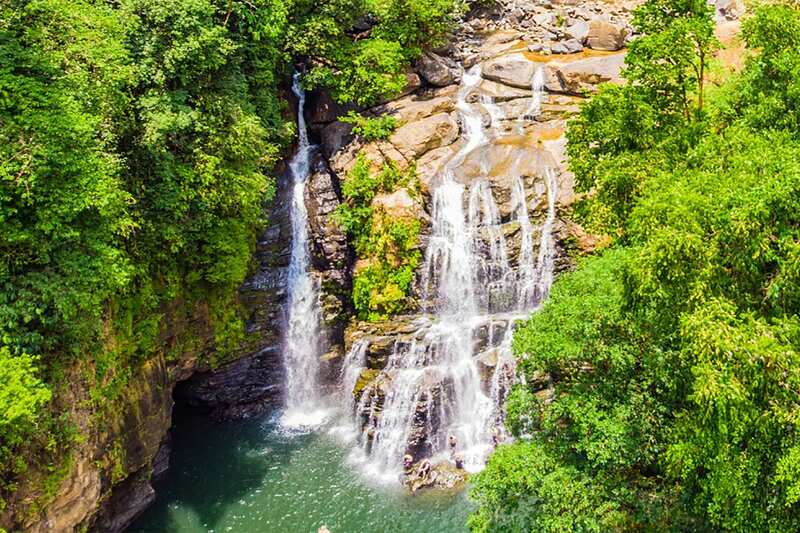 The other half of this 8 day trip takes you to the beach front town on Dominical known for its surfing, beaches, whale watching and waterfalls. *This package trip requires a minimum of 2 people. Welcome to Costa Rica! A FlashpackerConnect representative will meet you at the San Jose International Airport to start your private transfer to your Hotel in San Jose. The main entryway to the country is the capital city of San Jose in the Central Valley. Founded in 1738, it’s a modern city with bustling commerce and updated services for foreign visitors offering a variety of tourist, cultural and natural attractions, like the Costa Rican Art, Gold, Jade, National and Children’s Contemporary Art and Design Museums. The architectural jewel of the country, its National Theater, plus examples of historical architecture in buildings and churches close to parks and monuments, worth visiting. Restaurants for fine dining as well as casual cafeterias known as “sodas” offer international and local dishes. It is not a big city, traffic may be challenging though. There are many boulevards that make it easy to walk to different attractions or there are many options to travel by cab or public transportation. The nightlife is active and there are options for every taste. We will pick you up at hotel lobby to take you to the airport for a local flight of approximately 45 minutes to Palmar Sur to meet a Caminos de Osa representative to begin the Water Path. 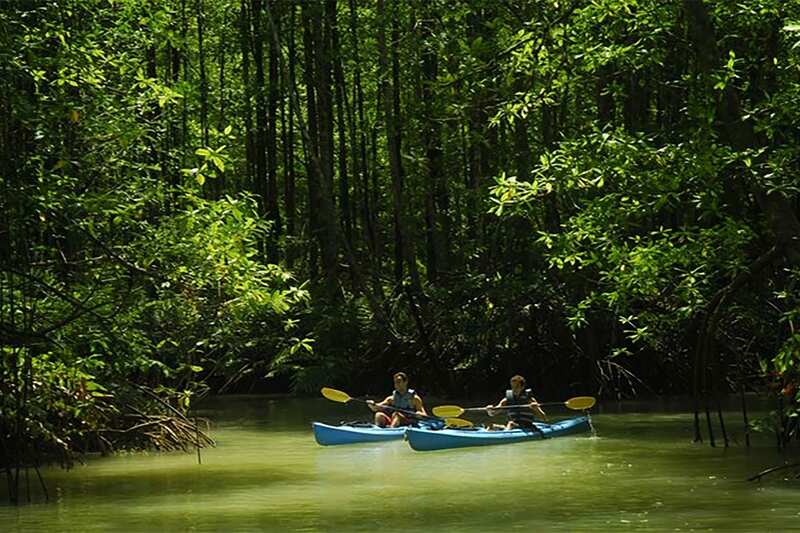 From here, you will start your journey by taking a boat ride through the mangroves of the Sierpe River (approx. 20km). 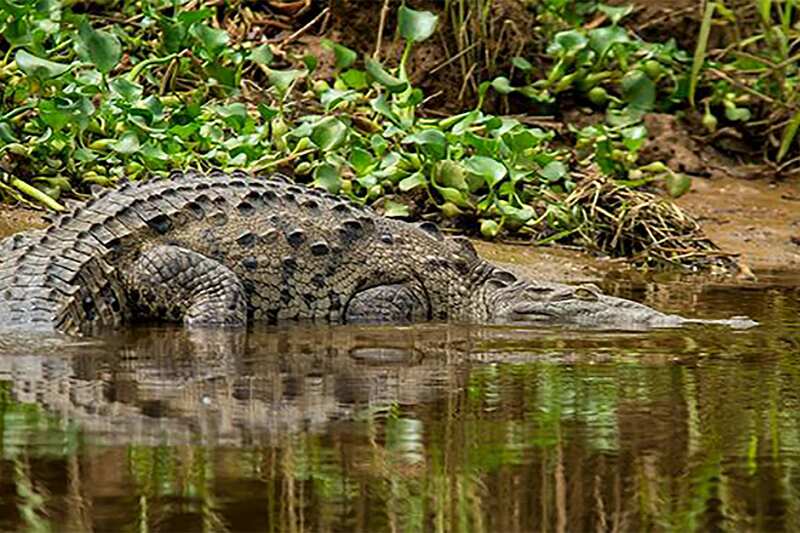 While enjoying your boat trip, be sure to keep your eyes open to see the crocodiles, snakes, monkeys, and the water birds that are frequently sighted throughout the area. 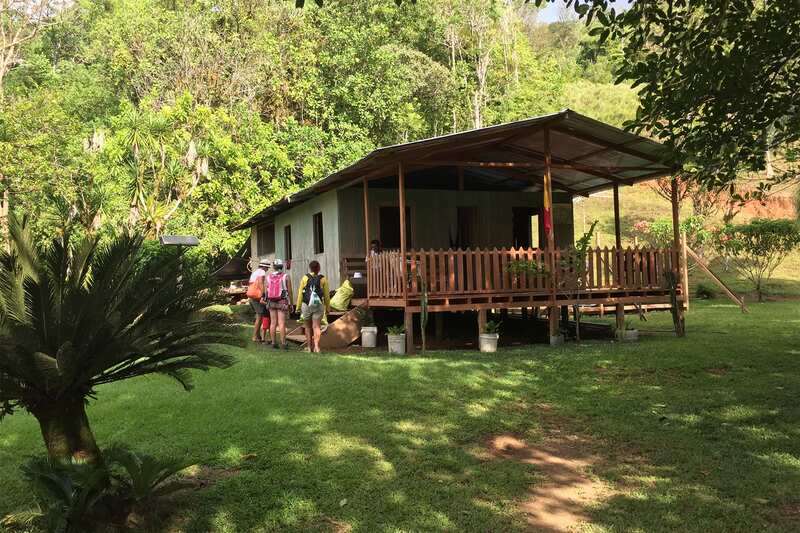 3PM: The Sandoval Family will take you to explore one of Osa’s first communities, concluding the afternoon resting in their typical Costa Rican home. 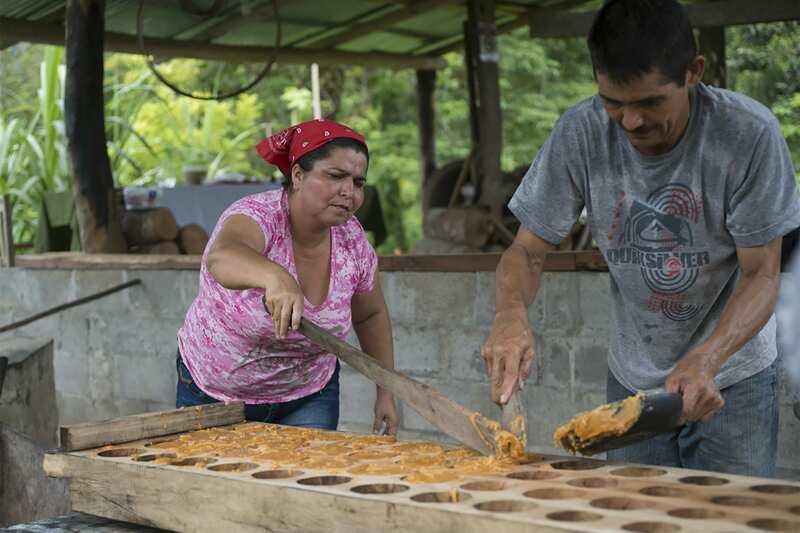 7PM: After dinner, you will get the hear stories from the Sandoval Family the town’s lifestyle, history and customs. You will also spend the night in their home. 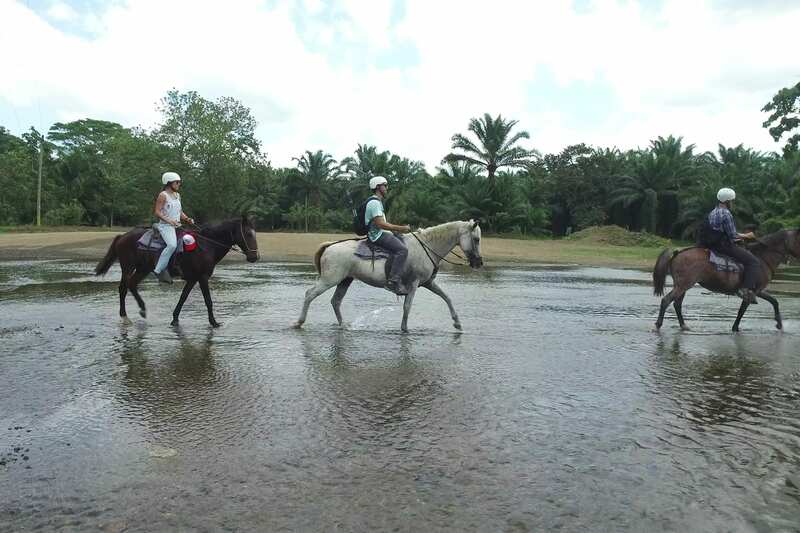 Today after breakfast you will start a 1.5-hour horseback riding trip that will take you to El Progreso community. Along the way, you will enjoy beautiful views of Drake Bay. 12PM: Once in El Progreso Community, you will leave your horses behind and have lunch in a local café. 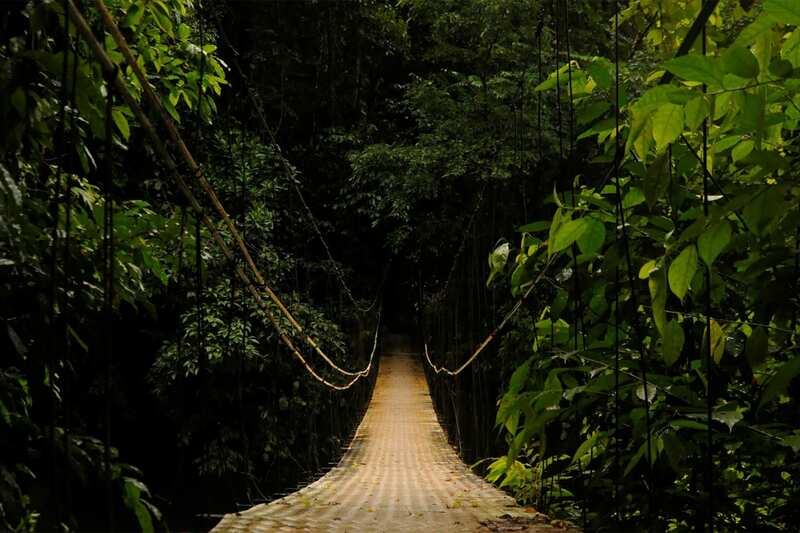 1:30PM: In the afternoon, your next adventure will be a 3km trail along paths of primary and secondary forest where you will witness Osa’s great biodiversity in flora and fauna. 4:00PM: A vehicle will pick you up and take you to Los Planes de Drake, where you will have dinner and spend the night. Today you will have an early breakfast and then take a one-hour boat ride to Caño Island Biological Reserve. 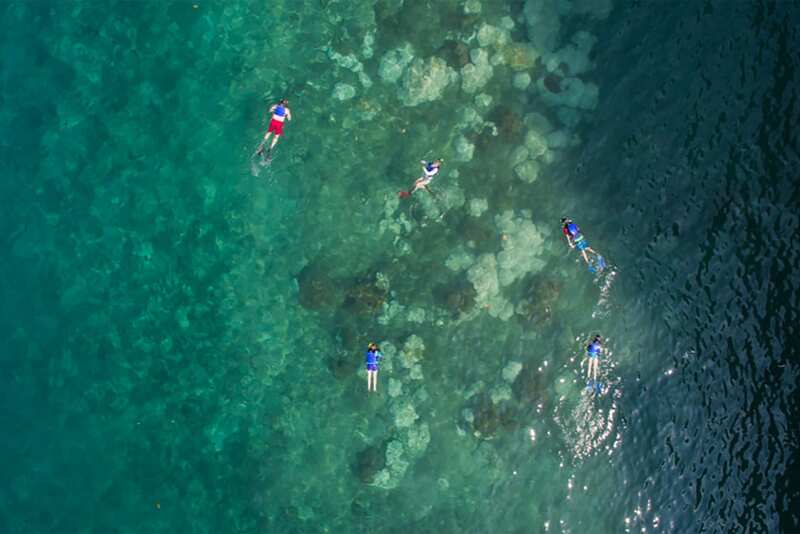 8AM: Once there, you will be able to hike one of the island’s trails and snorkel in several popular sites. 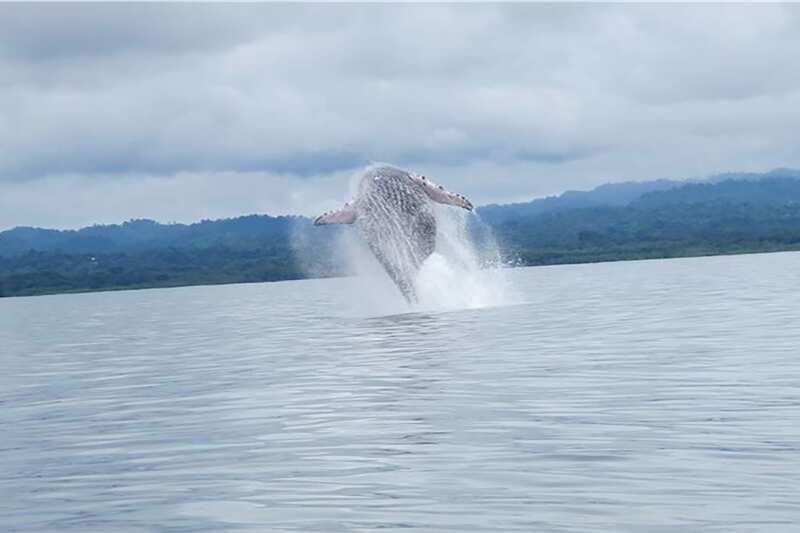 This enchanting island is considered as the second-best spot for diving and snorkeling in Costa Rica and is inhabited by playful dolphins and whales(subject to season), spectacular schools of coral reef fish and manta rays. 1PM: You will travel by boat back to the coast to enjoy lunch and swim at San Josecito Beach before heading back to your hotel. 7PM: A special farewell dinner will be served. Your Water Path Trip with Caminos de OSA will conclude today. After breakfast, you will be meet for a transfer to Dominical area. 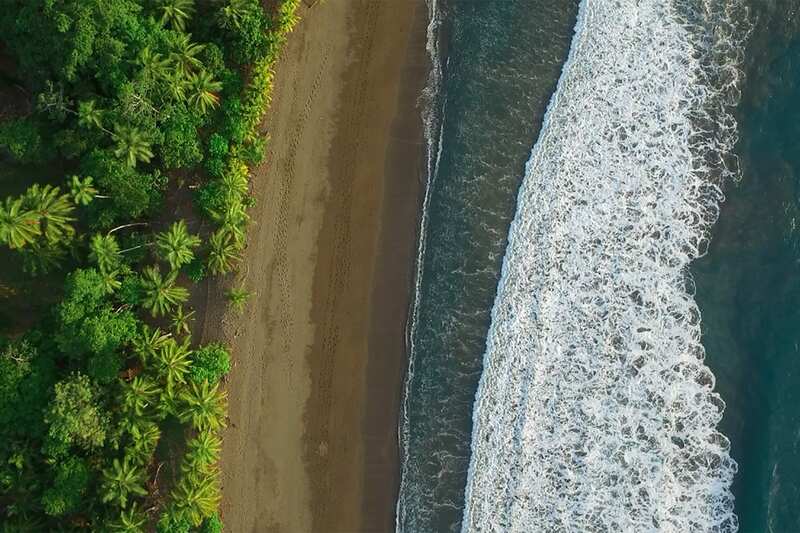 Traveling south on the beautiful Pacific Coast of Costa Rica, Dominical appears amidst deep vegetation, deserted beaches, a blue cool ocean and fantastic waves. 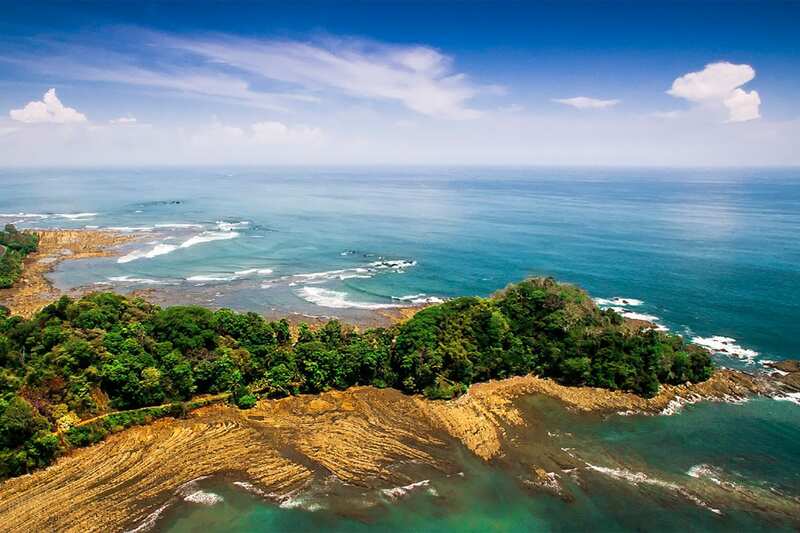 The rainforest, whales, waterfalls and overall tranquillity of the area have become recognized features of this beach town in Costa Ballena, the famous whale tail shaped piece of land. Big waves are ideal for surfing, gorgeous areas and facilities for nature and adventure tours can be taken from Dominical to neigh boring places of great scenic beauty, such as Marino Ballena National Park, the Nauyaca waterfalls and nearby hills offering spectacular views of the entire coastal area. Near Dominical, the small towns of Uvita and Ojochal, add to the variety of hotels and restaurants that allow visitors to fully enjoy this wonderful part of the country. 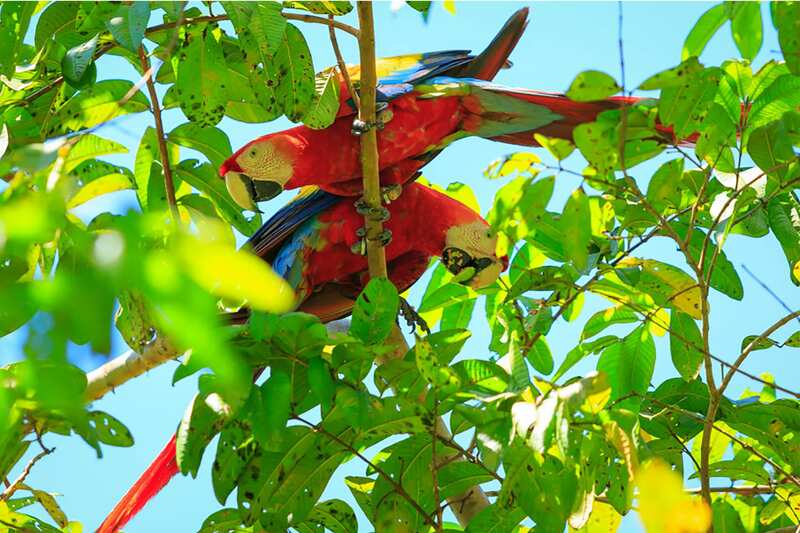 The tour consists of a 8 km horseback ride through paths and trails where tourists can enjoy the beauty of the landscape, as well as observe some of the wonders of the tropical rainforest. 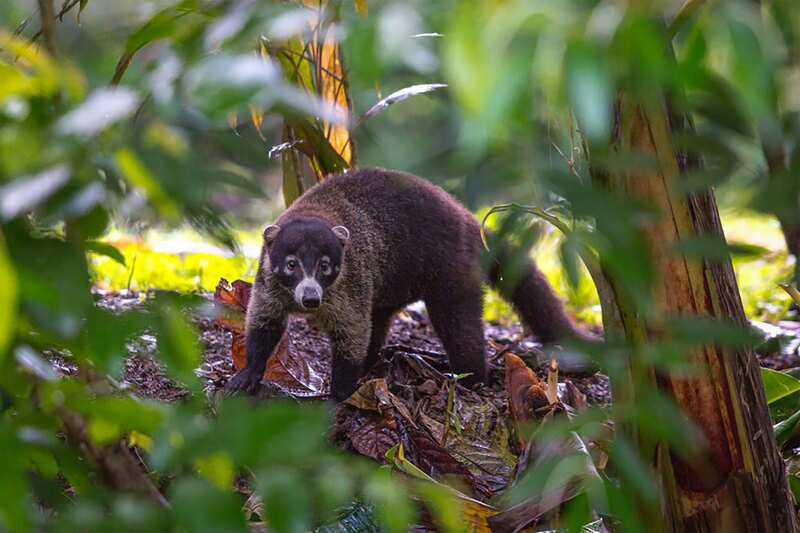 This tour starts at our office, then continues by car to the parking lot where the horses will be, half an hour later you will reach the ranches where you can enjoy a delicious snack, as well as observe the white faced monkeys , Peacocks, Guatusas and other animals that are in the vicinity. We continue the tour on horseback 20 minutes more until we reach the Nauyaca Waterfalls where you can swim and enjoy the spectacular scenery of 2 beautiful waterfalls for about 2 hours. Upon returning we stop again at the ranches to enjoy a delicious typical Costa Rican lunch and a good coffee from the area of Pérez Zeledón. After lunch we return to the parking lot and we will have finished an unforgettable adventure. Day at Leisure to relax and explore the area on your own. We will pick you up to take you from Dominical to San Jose back to the international Airport to take your flight back home or to your next destination. We will pick you up to take you from Dominical to Quepos Area, to Rafiki Lodge to keep enjoying Costa Rica Natural beauty. Enjoy a full day White water rafting Safari at Rafiki Lodge. They strive to have one of the most unique rafting experiences in the area. The company is composed of a team of guides that are locally born and internationally trained. They will give you and your family a personalized experience of a life time. Whether you want to enjoy watching the shore birds on the side of the river, or join the "Saverge Swim Team", they have a journey just for you. 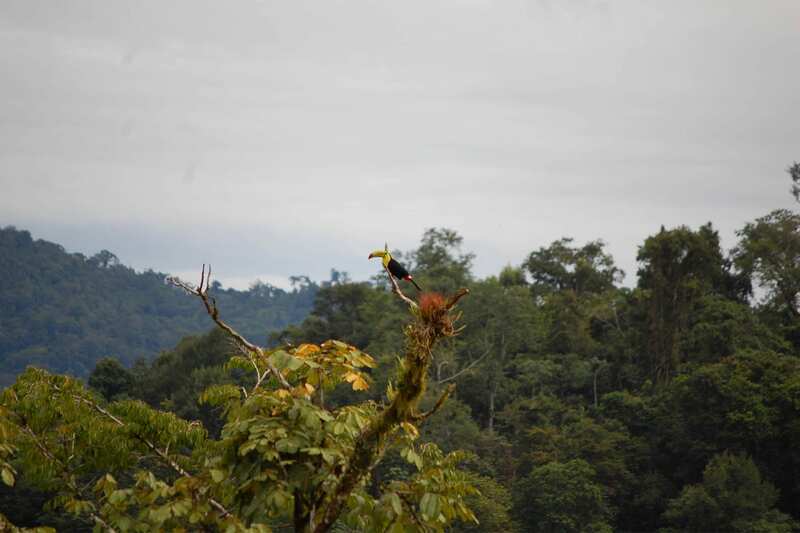 The Savegre River is born over 10,00 feet above Rafiki only 25 miles away. 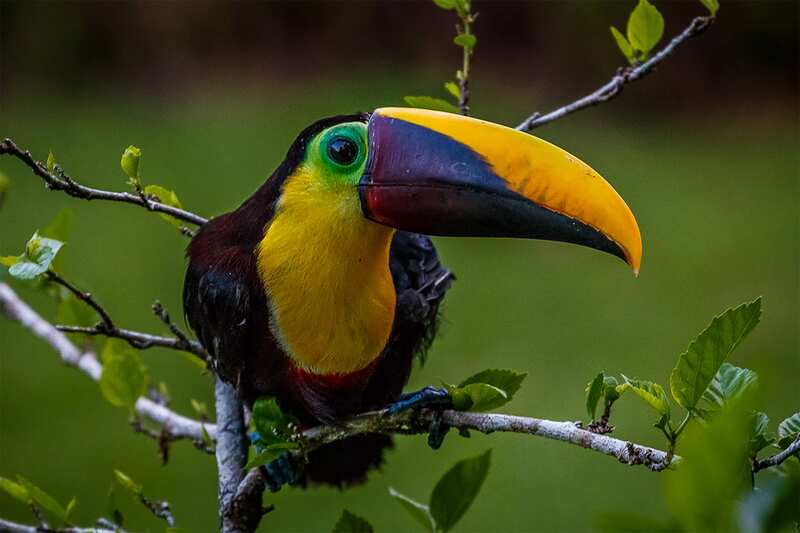 The river plummets down through some of the remote parts of Costa Rica as it travels through a series of National Parks and protected areas before it joins forces with the Rio Division. The 2 rivers form the Lower Savegre River. They start their day trip 5 kilometers downstream of the confluence of the 2 rivers. The 13 kilometer stretch that they float is composed of class II & III rapids. There are over 15 named rapids in the trip. Although the rapids are short, they will get you pretty wet! The company is the only outfitter based on the river, this gives us the advantage of being able to provide hot lunches on the side of the river at a private lunch spot. They also offer restrooms 1/2 way down the river. The guides are all certified in Swift water rescue, first aide, and CPR. Luckily those are skills we don't need to use very often. The skills we are really polished up on are identifying birds, teaching you about the forest, and knowing to correctly choose the lines of the river to keep your family safe. They offer trips in conventional 6 man rafts as well as their line of mini me-s and mini max-s. Big boats are great for the rainy season, and provide a stable and safe craft for the little guys and the faint of heart. Their sporty boats are smaller and hold up to 4 people. These guys are designed for low water and high adventure. Meet our driver at the hotel ́s lobby for your transfer to the San Jose International Airport to take your international flight back home or to your next destination. Meals not detailed in the program. Personal expenses of any kind.